Yellow-billed Parrot at SOS Wildlife Sanctuary, Runaway Bay, Jamaica. 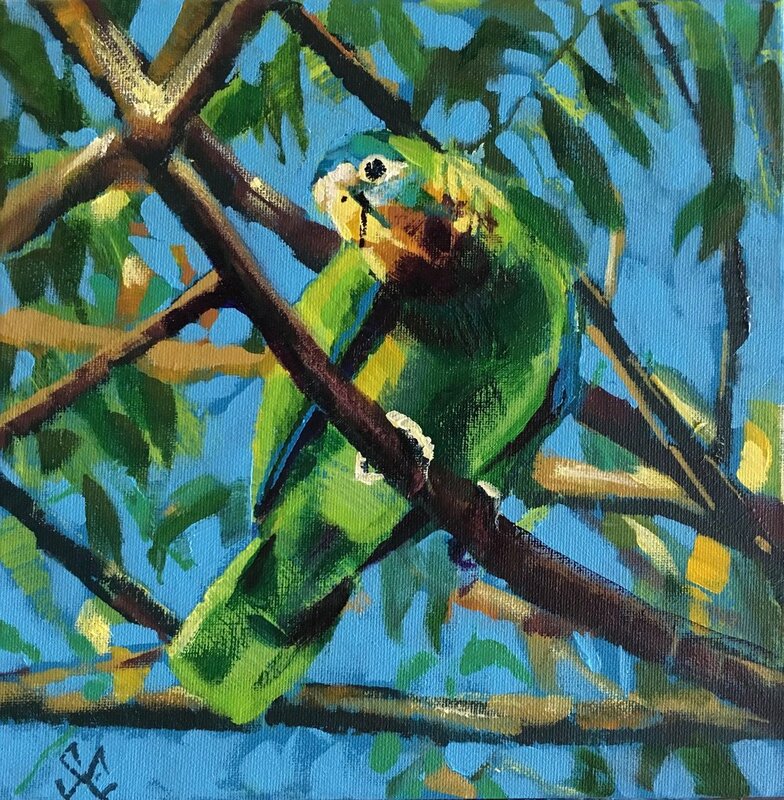 This lovely Yellow-billed Parrot was painted from a photo taken by Wendy Ann Lee, scientist, photographer, birder, game keeper and proprietor of the Seven Oaks Sanctuary for Wildlife, in Runaway Bay, Jamaica. Wendy is passionate about rescuing both species of these parrots, endemic to Jamaica (this and the black-billed), which are protected under law. However, it is a long uphill road in educating the public and keeping the young birds out of the hands of unscrupulous pet traders. PS: I am happy to say that the painting was sold to a very eco-conscious young man in Kingston, who even knew the Latin name for the Parrot, Amazona collara. A huge thank you to you for supporting Wendy’s efforts at SOS Wildlife Sanctuary.